Living in a city doesn’t mean you have to forgo your love of gardening. Regardless of whether you enjoy growing flowers for decoration or fruits and vegetables for consumption, virtually every home – no matter the size – has space available for gardening. Of course, living in a tiny apartment may require a little creativity, but there are many ways to convert urban living spaces into a gardener’s oasis. 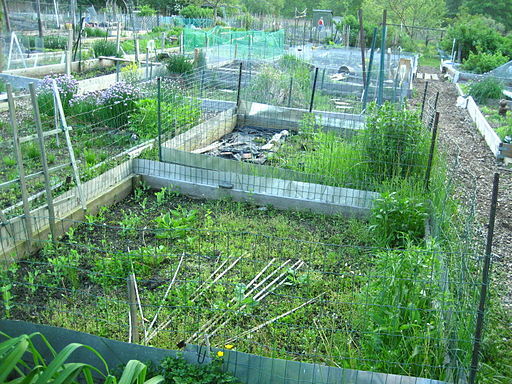 Every urban area is different, so your gardening options may vary depending on the unique nature of your neighborhood. For example, if you live in a first level apartment or a detached single family home, you may have the luxury of creating a more conventional garden in a front, back, or side yard. However, renters should make sure they check with their landlord and review the terms of their lease before they start making substantial changes to the existing landscaping. For those in upper level apartments, patios, balconies, and fire escapes are the most likely places to capture sunlight. For either situation, window boxes are another possibility. Novice gardeners may want to test the waters by growing plants in a few simple pots before investing a great amount of time and money in an urban garden project. Although you can easily find expensive containers to display your vegetation, buying inexpensive ones – or, better yet, borrowing used ones from friends or family members – is a smart economic strategy. In fact, you can even repurpose old mason jars, plastic food containers, or other materials you have around the house without spending any money. When focusing your efforts on traditional container gardening, remember that size matters. For example, plants that grow rapidly need plenty of room for their roots to expand. 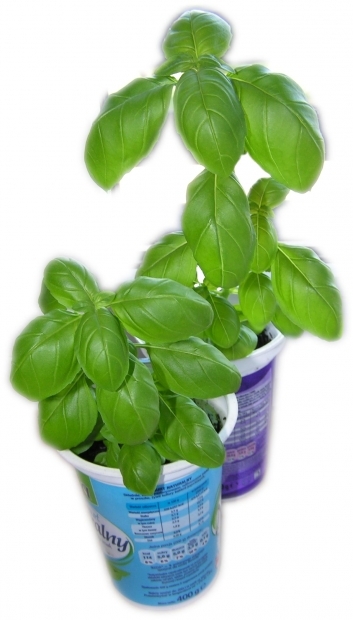 In contrast, planting tiny herbs in a large container may waste space you could have used for some other plant. Because most city dwellers will find themselves pressed for space, using any available vertical space will help maximize your gardening possibilities. For example, convert a discarded wooden pallet into a vertical plant container. First, secure any loose wooden boards and make sure no nails are exposed to prevent injury. Next, install landscape fabric or some other material to the rear of the pallet to provide space for soil and root growth, and to minimize damage to the wall on which the pallet will hang or lean against. Then, plant vegetation that will thrive in this sort of environment. Although plants with large, heavy leaves might not grow well in that sort of semi-horizontal position, trailing or cascading plants and herbs with more delicate leaves will likely do fine. The same concept can work for converting a hanging pocket shoe organizer into a vertical plant container. For that project, the key is to ensure that the fabric material permits proper drainage and that the hooks used to secure the shoe-organizer-turned-garden-masterpiece are strong enough to handle the weight of the soil, plants, and water. Others have had similar success using a wooden riddling rack, traditionally used to store or hold wine bottles. In the holes where the necks of wine bottles would usually rest, inserting soil and planting vegetation is a simple solution to an urban gardening dilemma. If you want even more space than a container garden or a vertical garden can provide, consult with your neighbors and talk about teaming up to find a space that you can use together. For example, some high-rise residents have convinced building owners to permit them to create a rooftop garden, with each participating resident paying a fee for a small plot of space. Others have used the common areas of their building, like a courtyard, to create a community garden. In other instances, people in an entire neighborhood band together and find vacant, unused space to transform into a neighborhood planting project. When going this route, make sure that you obtain approval from the appropriate individuals, such as the property owners or government officials, before you break ground. Even if you have no available outdoor space, indoor plants are always an option. Obviously, a wide variety of decorative indoor plants are available. In addition, however, many different citrus trees that provide edible fruit can grow indoors. Because these trees can be pricey, it’s best to do your research about how to properly care for them before making a purchase. Using these tips, residents of urban areas can enjoy the amenities of a vibrant, bustling city, while still enjoying the freedom to create a garden and grow their own food. 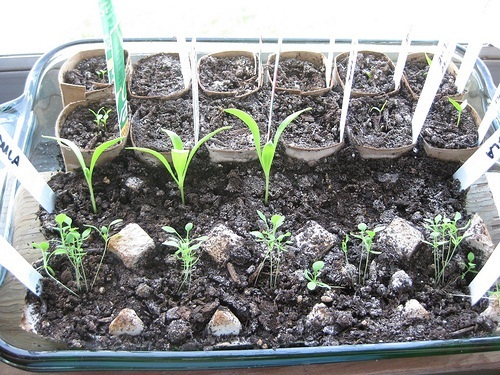 What are some of the things you’ve grown indoors? Do you have any tips you can share with new gardeners? About the Author Garret Stembridge is a member of the Extra Space Storage (www.extraspace.com) Internet marketing team. He contributes regularly at blog.extraspace.com. Extra Space Storage owns and operates over 900 self storage facilities, with many in California, including a Long Beach self storage location.